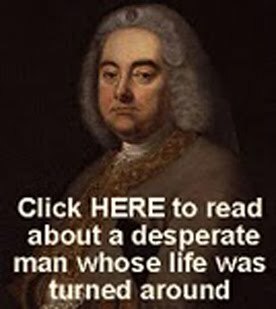 Those of you who like Anglo-Catholic history will appreciate this post about one of our great heroes with a heart for God and his people. The post is rather long . . . but the story of Father Dolling needs to be told again and again, not least to Anglo-Catholics of our time. I must say, however, that there is nothing original in what follows. Mostly it is my conflation (without altering the literary style they have in common) of the following three essays: Robert Radcliffe Dolling in Saints and Heroes by H.F.B. Mackay (1928); The Reverend Robert Radclyffe Dolling - Defender and Champion of the Faith in Lead Kindly Light by Desmond Morse-Boycott (1933); Robert William Radclyffe Dolling, a booklet published by The Catholic Literature Association (1933). In addition I have quoted from Dolling’s own Ten Years in a Portsmouth Slum (1897) and Charles E. Osborne’s The Life of Father Dolling (1903). 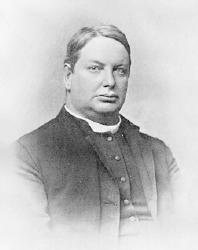 There were few better known priests at the end of the nineteenth century than Robert William Radclyffe Dolling. Born of wealthy evangelical parents at Magheralin in County Down, Ireland, in 1851, Dolling learned the essential principles of the Christian faith. It is said that she saturated her children’s minds and hearts with the Gospel of Jesus. His father also was a sincere and warm-hearted man whose kindness toward others he inherited. Six months after this incident he was sitting next to his mother, eating his dinner. A guest began to talk about theology with Bob’s father and mother and said that he had always found the doctrine of the Trinity a difficulty. It is clear that Dolling grew up knowing the Lord. To the end of his days, he was never a subtle theologian. Rather, he was a practical man who seems always to have had a direct personal knowledge of God, and, like many mystics, he no more needed a theology to support his belief in God than we need a degree in astronomy to support our belief in the sun, moon and stars! Dolling did not do well at school, either at Stevenage or at Harrow; but it is notable that at the former he left a reputation behind him for truthfulness and a hatred of cruelty, and that at the latter he was remembered for his conspicuously high standard of purity. He lasted only a year at Trinity College, Cambridge because his health - and especially his eyes - failed him. From a scholastic point of view he sustained an irreparable loss, but at this time he made some lasting friendships which nurtured his spiritual development, and as a result he came to know and love the Catholic Faith. Without ever losing his sense of God’s immediate presence in his life, he added to his evangelical experience a firm belief in the need for, and power of, sacramental grace. On leaving Cambridge, Dolling took a brief health-trip abroad and then returned to Ireland, settling down to work with his father in his land-agency at Kilrea. It was here that he first showed himself to be a missionary, providing the young men on the estate with evening classes in secular as well as religious subjects. Games were organized, a library established, and big ‘diggings’ carried out in the Manor House Garden and elsewhere. In 1877 the family moved to Dublin, and Dolling found himself, between the ages of twenty-six and thirty, spending his time between the Irish capital and London. St. Alban’s, Holborn, that great centre of the Catholic Revival, became his spiritual home. 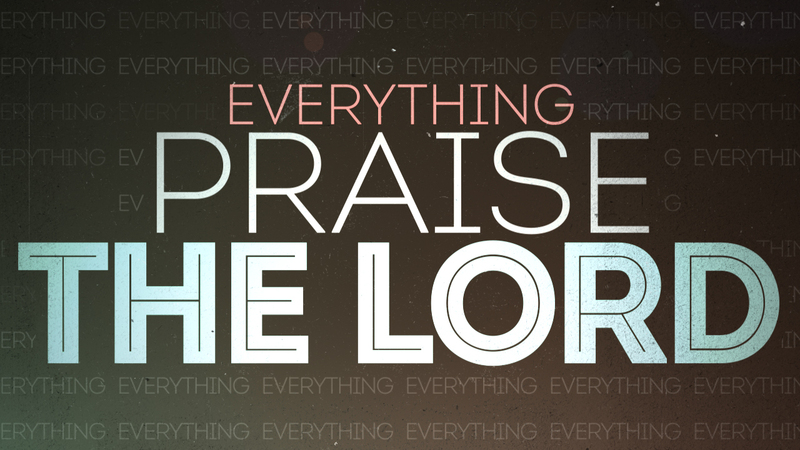 It was not only the worship, gospel proclamation and sacramental teaching that commanded his allegiance. A love of ordinary people, and a desire to see them won for Christ, drew Dolling into the boldly democratic social work which St. Alban’s, in common with so many other Anglo-Catholic churches, was doing. Father Stanton had founded a club there for postmen, known as St. Martin’s League with several centres throughout London, and Dolling was made Warden of the south-eastern district,. ‘Master Bob’ of Kilrea had become ‘Brother Bob’ of St. Martin’s League, and the pictures drawn of this stage in his work show a man radiating good-fellowship, understanding, and sympathy, while never losing hold on the realities of life, and never losing his ability to have fun. So we see him at the age of thirty, rollicking, warm-hearted, full of good spirits, busy in Ireland with his land-agency, but giving every moment he could spare both in Dublin and London to what was the main passion of his life - bringing souls to Christ in and through his Church. His father’s death in 1880 left him more free from the point of view of his real vocation, but more restricted financially. Irish land troubles further diminished his income, and in 1881 his brother took over the agency duties in succession to his father. Bob Dolling was now free to do what he had long been feeling he ought to do, and what Father Stanton of St. Alban’s had always advised - namely, to offer himself for ordination to the priesthood. Some course of study was essential and inevitable; but never, probably, has a seminary entertained a student who was less in his element within its walls than was Dolling at Salisbury Theological College. 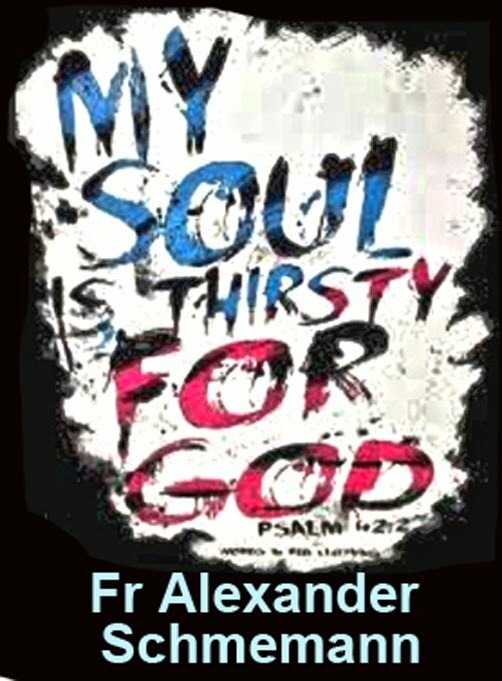 He spent most of his time at Salisbury in club work among the rough teenage boys who lived in St. Martin’s parish. But the very real ministry he had already exercised, and the sympathetic understanding of the bishop of the diocese and the Principal of the College, carried the day in his favour against “official” objections. There could be no doubt about his vocation, and he was ordained deacon at Trinitytide, 1883, and licensed to the curacy of Corscombe, West Dorset. By a most fortunate chain of circumstances, this curacy opened up to Dolling just such an opportunity as he craved, just such a sphere as suited his particular powers. With the agreement of his vicar, Archdeacon Sowter, and Bishop Walsham How, and as a means of linking town and country together, he was put in charge of a difficult mission district in the parish of Holy Trinity, Mile End Road, in the Stepney area of the East End of London. Corscombe provided his stipend, but his real work was done at Maidman Street Mission, Burdett Road; he went to Corscombe, indeed, less and less as time went on, as the work, which was just a development of his previous efforts, grew and prospered. Dolling was out to capture people who told him bluntly when he first went among them that “they did not care to have truck with parsons” down that way, and he succeeded to a marvellous degree. He secured a warehouse building, and converted it in a rough and ready fashion (to begin with) into the kind of mission which has since then often been reproduced in poor and populous districts: the lower floors were divided into small rooms for the missioner, visitors, and those in need of help, as well as larger club-rooms and class-rooms. The upper floor, was kept strictly as a chapel. It seemed that every prayer for help, every appeal was answered. Dolling’s three sisters, Elise, Geraldine, and Josephine, gave up their Dublin home and joined him in the work; money was successfully begged from West End friends, and priests regularly took turns in saying Mass in the Chapel, so that there might be no spiritual aid lacking because the missioner was but a deacon. After the first year, Magdalen College, Oxford, took the effort to some extent under its care, and largely supplemented the help still forthcoming from West Dorset. “We went by ferry and train by the dismal North Woolwich line, getting out at Burdett Road Station. After a few minutes’ walk we were in the Maidman Street Mission House. It was in Easter week. 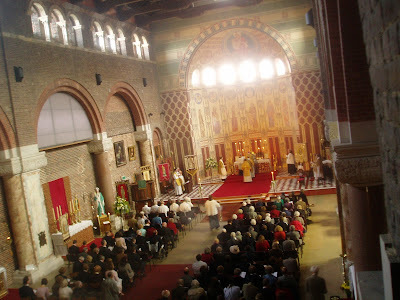 A special service was being held, and the chapel upstairs was full. The latter place was packed to the doors with a type of persons never (or except on the rarest occasions) seen within an Anglican, or perhaps any English, place of worship. The altar was first lighted up by a boy in scarlet cassock and cotta or alb. Presently began the solemn vespers. It was a sort of worship more elaborate than that at the oratory at Mount-joy Square. “On this night at St. Martin’s Mission, at the entry of the officiant, who was Dolling himself, vested in a richly embroidered cope, processional lights were carried by acolytes, and there was all the dignity of ceremonial which has ever attended the worship of the Catholic Church, manifest even in germ as she ministered in her strange underground life during the age of persecution. The people had the Vespers in little books provided for them, and easily followed the service, which consisted mainly of psalms, short lesson, Magnificat and hymns, including the office hymn. “The psalms were sung lustily, being the fixed Vesper ones, and were known practically by heart. The Magnificat took its due place as the ritual centre of the service, the great hymn of the Incarnation. There was no stiffness, and there was no vulgarity. Though it was distinctly a ceremonial service, yet there was really nothing ritualistic about it, in a frivolous or artificial sense, from beginning to end. Not one person engaged in this service, except Dolling and a few of his helpers, knew of High Church or Low Church, or Roman or Sarum or Protestant modes of worship. They were simply men and women who had first been gathered in off the streets, or from the neighbouring houses, having never known what Church of England worship was like of any description. They came to worship God in the way their dear friend and God’s minister, the only friend besides God of many of them, had taught them to do. “But the really remarkable thing was the sermon. 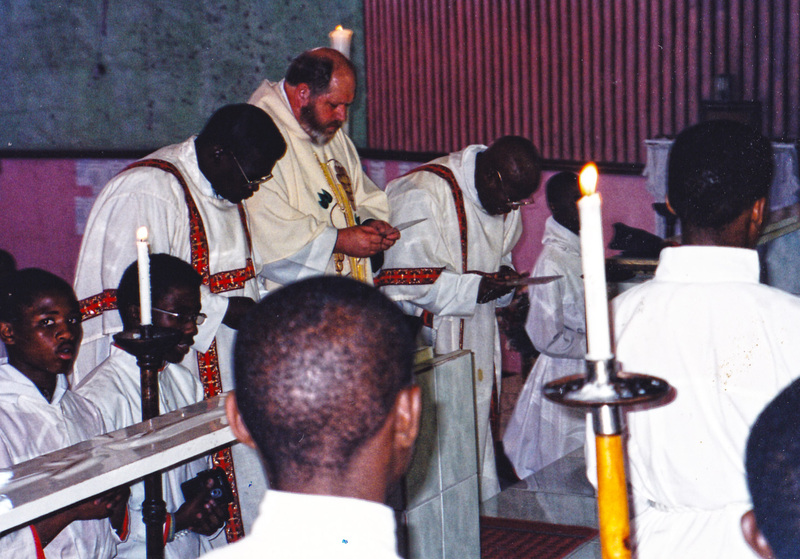 The deacon-missioner, the cope being removed, sat down at the altar-step and talked to his people about Jesus during the forty days of His risen life, of the walk to Emmaus, and ‘the breaking of bread,’ of how the Lord appeared ‘in the midst’ in a homely upper room like that in which they were then sitting, of how He knew each one personally and made Himself known to each - to Peter, who had denied Him, to Thomas, who doubted about Him, to poor Mary Magdalene, whose soul He had cleansed. It was a talk which seemed as if it was of what the speaker himself actually saw. It was as if one were in some assembly of the Primitive Church, or among the first disciples, the lovers of Jesus, waiting for the manifestation of His presence, the power of His resurrection. So things went on for two years, and in the summer of 1885 Dolling was ordained priest. This event heralded one of the two great disappointments and crises of his life. He had always been led to expect that when he became a priest his mission would be made a separate parish, and he regarded this as an essential condition for the development and stabilization of his particular work. He was probably right: the work was good, but to endure it had to be done as he was doing it, and he could see no guarantee of its permanence if he were to be subject to six months’ notice at any time, as a licensed curate of Holy Trinity. The Bishop of Bedford (Dr. Walsham How - who wrote the hymn, “For all the saints . . .”) in whose area the mission existed, and who held Fr Dolling in the highest regard, fought hard to get better terms from Bishop Temple, the Bishop of London, but the latter could not see that the particular conditions which existed at Maidman Street demanded special treatment, and in the face of his obduracy Dolling resigned. Some argued that he was impetuous, obstinate, or self-willed; that he ought to have submitted to authority and done the best he could. But these critics failed to recognize that he cared far more for the work than he did for his own position. Not for the last time, Dolling’s work and Dolling himself were sacrificed on the altar of red tape. To Temple and his diocesan officials Dolling was just an ordinary curate who was getting too big for his boots, not an extraordinary missioner who could reach those seldom touched by the Church of England. 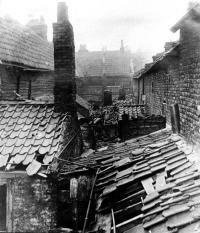 On 1st July 1885 Fr Dolling left Maidman Street, broken for the time being both in health and in spirit. Within a short time the Mission dwindled and died. It says much, however, for his unconquerable faith and courage, that within three months he had accepted the charge of the Winchester College Mission in Portsmouth. The slums of Portsmouth wre among the worst in England. Here, in 1882, Winchester College had planted St. Agatha’s Mission with the Rev. Dr. Linklater in charge. On his removal to Holy Trinity, Stroud Green, the Headmaster of Winchester, Dr. Fearon, offered the charge of St. Agatha’s Mission to Dolling, who was then recuperating at St. Leonards; the offer had the approval of the Bishop of the Diocese, Dr. Harold Browne. Dolling answered the call with eagerness, and began the greatest work of his life at Michaelmas, 1855. It was a work which from the first was entirely after his own heart, and called, moreover, for the exercise of every scrap of faith, hope, and energy that he possessed. Father Dolling’s work falls quite naturally, as might be expected, under two distinct headings; and yet, distinct as his social work was from his specifically evangelistic and priestly ministry, they were really parts of one whole – they actually represented a Catholic priest doing his whole task. The social work presented several almost unique features. First came the “daily dinner”; his parsonage had to be heart and centre of his work, of the life of the Mission, so he started a daily communal meal. “Blessed beyond all cost,” Dolling called it, and, indeed, the enormous expense of money, energy, and tact that must have been needed to maintain a dinner table for all and sundry, to which (at any rate on Sundays) never less than forty or fifty sitting down, must have resulted in countless lessons and benefits. It was the parsonage dinner table, not a “charity treat,” or a casual ward: men and women regained their self-respect by being treated as guests; children laid the foundation of good health and good manners by the same means. But Dolling kept “open house” in a wider sense. Some of his ‘visitors’ were Winchester boys who had leave to stay at the School Mission. For the rest, guests rubbed shoulders with Members of Parliament, clergy, and professional men who were friends of Dolling’s, with soldiers and sailors who had cubicles in the gymnasium gallery, with the unemployed, the suffering and the aged, the broken in health, mind and morals, or means - all of them known to the Father, and to him only; all of them owing their presence there, and all it might connote, to his large-hearted Christian generosity. In addition, Father Dolling inaugurated and conducted with success unusual in so unpromising a neighbourhood, a gymnasium, a Mothers’ Club and Meeting, and a Girls’ Club. These are institutions which have since become a commonplace in most “well-organized” parishes: they were a bold experiment in Landport in the 1880s. In the early days hooliganism had to be stamped out before the gymnasium could really fulfil its work of making weak lads strong, teaching a sporting spirit, and weaning young men from the gambling dens and low dance halls. On one occasion, at least, Dolling and his sisters were glad to escape from identification as members of the Mothers’ Party returning from its first summer outing almost entirely intoxicated. But as time went on the difference the clubs made in the surrounding parish atmosphere was little short of miraculous, to say nothing of their training of individuals. Within four years of his arrival Dolling determined to build day schools. He called his people together and told them they must pray, as they had not much to give in the way of money. They decided to have a day of perpetual prayer once a month, from 5.30 a.m. to 10 at night. They did it, and in less than three months had collected a third of the required £3,000. Who would have foretold that faith could accomplish so much in four short years? It has been necessary to treat somewhat fully of the social side of Father Dolling’s work, because it was always with him the avenue of approach in his mission work, just as it was the natural outcome of his faith and charity. The deadness of the poverty-stricken life, as he saw it, had to be exorcised before it was possible really to kindle “the divine spark,” the likeness of God, which is in us by right of our creation in his image. But the mission church was his power-house, personal and parochial; and however much energy and time he used in his social activities, or his educational efforts, the best he had to give was given in his preaching of the Gospel, his teaching of the Catholic Faith, and his celebration of the Sacraments. In fact, his main inspiration was drawn from, and his main battles fought over, the truth and power of the Blessed Sacrament of the Altar. The daily Mass was one of his first introductions; he felt, as every true Catholic priest feels, that this must be the first and strongest plank in the spiritual platform of both priest and people. Later came Vespers of the Blessed Sacrament and Stations of the Cross (on Fridays). Then, after a year’s preliminary training of children, adults, and servers, the Mass became the central Sunday act of worship. Solemn Evensong came later. But the picture of Sunday worship would not be complete without the “after” mission service, pre-eminently Dolling’s personal hour, with its congregational hymns, extempore prayers, and a straight heart-to-heart talk. The memory of those mission services endured for decades; a mighty harvest was reaped from the seed sown in them. It must not be assumed that Father Dolling was not amenable to order and authority. He had the profoundest regard, as a true Catholic, for the authority of the Church and Creeds; but officialism of any kind, man-made officialism especially, and the all too prevalent bullying on the part of those bishops who were merely ecclesiastical bureaucrats, irked him sorely. It is a magnificent tribute to the real insight and understanding of the authorities at Winchester College, that they maintained with him throughout the happiest relations, giving him their generous trust and confidence, and defending him from the criticisms of Mission supporters, whose patience was tried by his unusual methods. The school was his mainstay during the whole of his ten years in Portsmouth. Nothing further happened, however, and a similar protestant agitation in 1889 had no further results. A lecture by the Rev’d. Stewart Headlam on Christian Socialism raised a different kind of storm, and when the Bishop and the Warden of Winchester wrote in disapproval of his utterances, implying that unless Dolling dissociated himself from such socialistic teaching they could no longer support him, he offered to resign. The Warden explained that his criticism was only personal and not official; the Bishop retired from the contest, and a petition of over 2,000 of St. Agatha’s parishioners, praying that Dolling would remain, caused him to feel that his position was re-established, and he stayed on. Dolling was on friendly terms with Browne’s successor, Dr. Thorold, a sincere evangelical, consumed with a zeal as great as Dolling’s own for the “lost sheep.” He did not approve of all that Dolling did, and occasionally he asked him to modify certain details of practice; but always he refused (even when badgered by the Protestant Alliance) to “throw Dolling to the lions,” and allowed him greater liberty than anyone in his diocese. Such small clouds as arose were therefore quickly dispelled. Father Dolling’s last great accomplishment in Landport was the building of the new St. Agatha’s Church, at once the crown of and the final crisis in his labours. It was to be, and it is, great in its proportions, to represent Winchester, its founder, and the majesty of God amid the slums. The church, built to accommodate 900 people, impressed everyone who entered it. The altar could be seen by every worshipper. The style of the building is (as being by Dolling’s conviction the best for mission purposes among the people) of the basilican type; not the Renaissance basilican of Palladio (sometimes called “pseudo-classical”), but the Romanesque variety of North Italy, and suggested by studies of the churches of Lombardy. The inside of the church had an effect of great dignity combined with warmth and homeliness - Dolling’s ideal for a house of worship. The material is in the main brick, but with granite, alabaster, and oak work, the combined effect of which was to give the impression of magnificence. 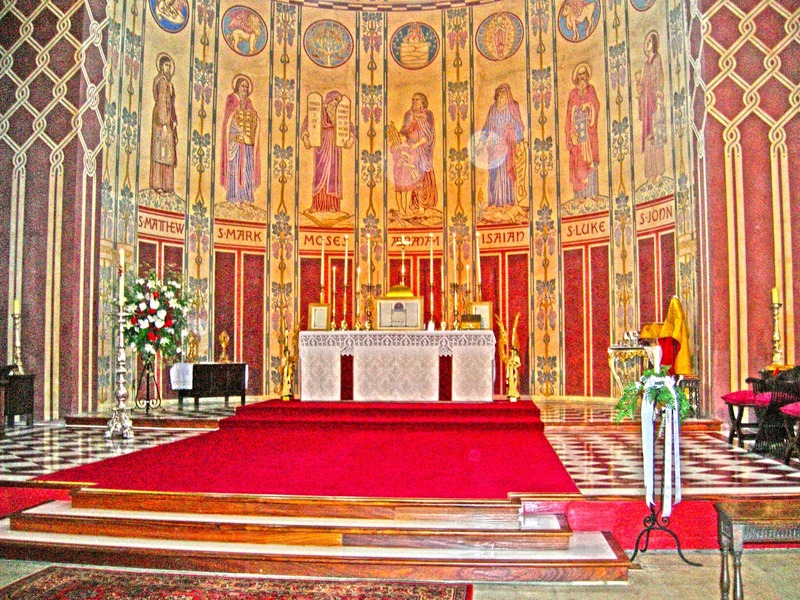 A semicircular apse forms the background of the high altar. Dolling’s original idea of a T-shaped building was further developed by the addition to the plan of a chapel in the south aisle with a smaller apse, and westward of this chapel a narrow aisle, finished at the west end by a tower in the base of which was the baptistery. Dolling left a good deal to be done for the church as time went on, especially as to rich hangings, curtains, and fresco-painting. His dream was that of a great church in the centre of the thickly populated hive of Landport, which, like St. Mark’s, Venice, should be a sort of picture Bible for the people -’ Biblia Pauperum ‘ - the sacred story of redemption displayed along its walls. Bishop Randall Davidson had succeeded Dr. Thorold, and, like Bishop Temple years before, had little tolerance of Catholic teaching and practice. He refused to sanction the opening of the new church, chiefly because of a “requiem altar” at which mass would be offered for the departed. Then, however, he permitted the arrangements to go forward while he considered the matter. He deemed a fresh licence necessary, and could not see his way to sanctioning the third altar in the church. Interviews and correspondence, mediation and discussions, occupied two months, and at the end of them Bishop Davidson adhered to his original decision, condemning the ‘practices’ (Requiems) which Dolling associated with the third altar, and also his saying Mass on occasion without the legal “three communicants,” and charging him with having dealt at his will with the Church’s rules. Sunday, January 5, 1896, was the last Sunday when Dolling was with his people of S. Agatha’s as their priest. At Evensong there was an immense attendance, some hundreds of people having to stand through the service. He preached from Isa. 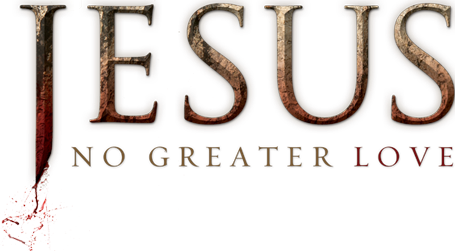 43:2, “When thou passest through the waters I will be with thee.” His theme was the invincible power of faith in God, and especially in regard to prayer. He made no allusion to the theological matters in dispute, but in regard to himself he said that ‘ten years ago, naked and empty, he came to that place, and he would leave it, naked and empty, on Friday.’ He urged the congregation to cultivate a spirit of faith. Very quietly, and comparatively unperceived, Father Dolling and his sisters left Portsmouth the following morning, Friday, January 10, 1896. Dolling had left London over a dispute with Bishop Temple. He left Landport over a dispute with Archbishop Davidson. Some have thought that with a little diplomacy he could have got his way, but Dolling felt a principle was at stake. It is said that the sunshine went out of his life then, and he became a sadder man. For a while he was “unemployed”; at least two bishops refused him permission to preach in their dioceses. He gave much time, out of health as he was, to begging for the Mission, but eventually he sailed for the United States in response to an invitation and in search of renewed health. It was a happy and successful visit, and the encouragement he gained from his reception did much to put him on his feet again. The Bishop of Chicago offered him the Deanery of the Cathedral, and, fascinated by the problems of that great city, he would probably have accepted had he not undertaken the charge of St. Saviour’s, Poplar, in the east End of London, some twelve hours earlier. Here he was instituted in 1898, and for three years did his utmost, with the support of those in authority, to carry on the same kind of work as he had done at Maidman Street and Landport. However, this closing phase of Fr Dolling’s ministry was a tragedy. He found Poplar dull and apathetic, without any of the attractions of the work at Portsmouth which had become his home. In addition, he was physically worn out, and emotionally he was a broken man. Rest and travel were prescribed and taken. He made a point of raising money for his Mission by preaching to the fashionable West End Anglo-Catholic parishes. But as far as Poplar was concerned, Fr Dolling felt that he was a failure, apart from his ministry with the children. He preached his last sermon at St. Saviour’s on Easter Sunday, 1902, pleaded the cause of his parish at Berkeley Chapel a fortnight later, and within a month he passed to his rest. He was only 50 years of age. His body lies near Father Mackonochie’s at Brookwood, among the pines of Surrey. Father Dolling stands out in the history of the English Church as a pioneer of, and in a real sense a martyr to, the saving Gospel and the Catholic Faith to which so many have witnessed in different ways, down through the centuries. “As God the Father wills to be known in the Incarnation, so God the Son wills to reveal himself in the Breaking of Bread,” was his own fitting summary of his Catholicism and its application. 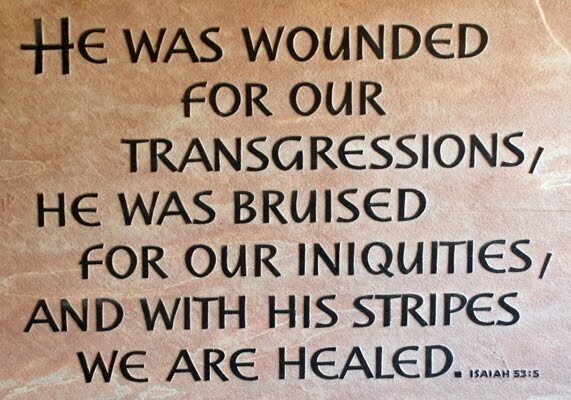 By that belief he stood; for it he was prepared, if need be, to sacrifice himself. Of no true Catholic can it ever be otherwise: Christ in his Sacrament, and all that that implies, is, for the Catholic, Christ in the world, and as we do our small share for that truth today, we tread in the steps of those who have stood for it in the past. Father Dolling suffered for it, even to the eclipse of his greatest earthly hopes; and in suffering has shown to subsequent generations the path of the only true peace and ultimate victory. Father T. Tremenheere, from the staff of the Holy Redeemer, Clerkenwell, succeeded Father Dolling as Vicar of St Agatha’s. Under him there was not only a continuation of Dolling’s work; there was also complete continuity of Catholic teaching and worship. 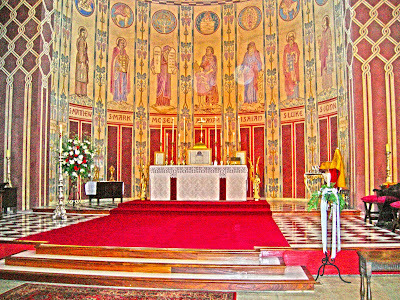 The beautification of St. Agatha’s continued, notably the large and striking mural of the nave by Heywood Sumner. In 1940 Hitler’s air raids destroyed all the homes of the parish, including the vicarage. The third Vicar, Father Charles Coles, then took up residence in the tower of the church, where he remained until his death. A contemporaneous bishop tried to move against him too, but, thanks to “parson’s freehold,” Father Coles could not be driven out. Older men still remember how as boys they’d serve the Vicar’s daily Mass in the Lady Chapel, with snow coming down through holes in the roof, and the old priest celebrating from memory because now he was blind. The Church of England closed the church in 1954 and sold it to the Royal Navy for a warehouse. 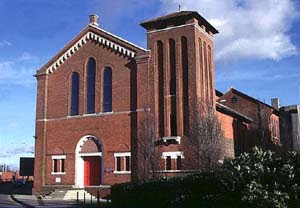 In the 1960s and 70s there was a real chance that the church would be demolished to make way for roadworks, but in 1983 a revised road plan removed the demolition threat. Today, it has been re-opened for worship and restored to its former beauty thanks to the remarkable efforts of Father John Maunder, of the Traditional Anglican Communion. Father Dolling was one of Father Maunder’s boyhood heroes. 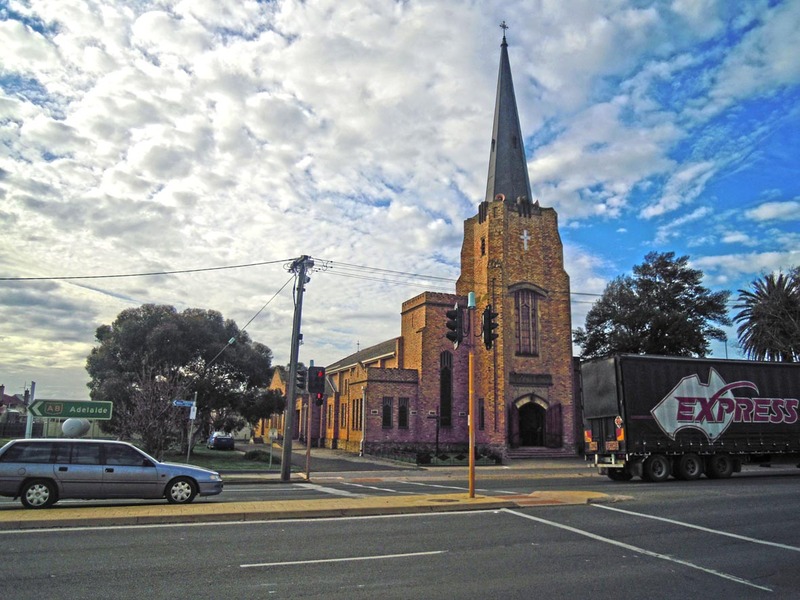 The church is cared for by a Board of Trustees, and since 1994 has been open to the public. 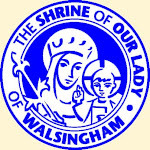 When the Ordinariate of Our Lady of Walsingham was established by Pope Benedict XVI, the congregation and clergy joined, and worship in the classical Anglo-Catholic tradition, in full communion with the Holy See, is offered regularly at St. Agatha’s.